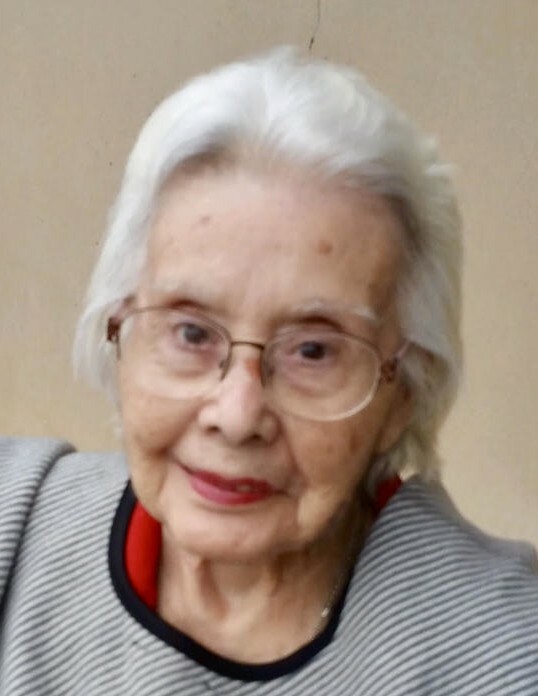 Mary Yañez Rodríguez, 90 years old, was called home by Jesus on March 26, 2018 with her family by her side. She was born in Otis, NM on May 10, 1927 and raised in Otis and Carlsbad, NM. Mary was preceded in death by her husband, Andrew (Tito) Rodríguez; her parents, Victoriana and Pablo Yañez; her sister, Mickie Yañez Methola; her brothers, Justo and Francisco (Kiko) Yañez. She is survived by her son, Orlando A. Rodríguez; her daughters, Verna Dina Helland and husband Chris Helland, Elizabeth Rodríguez and husband Gerardo Rodriguez, Mellie Cannady and husband Robert Cannady; her sister, Helen Yañez Molinar; nine grandchildren, Christina May and husband Jared, Andrew Rodriguez and wife Tori, Anthony Helland, Jerry Rodríguez and fiancé Britney Dinkel, Karol Rodríguez-Fury, Michael Helland, Gabriel Rodríguez, and Alex and Maria Cannady. She also has six great-grandchildren, and many nieces, nephews and friends. Mary was a long-time resident of Carlsbad, until she moved to Albuquerque, NM in 2011 to be with her children and grandchildren. She graduated from Carlsbad High School in 1947 and pursued a career in nursing, until she retired in 1996. While a nurse, she worked at St. Francis hospital, Guadalupe Medical Center, and Landsun Retirement Home. She especially loved working in obstetrics, where she helped deliver many babies. She also enjoyed traveling and participating in Senior Olympic competitions having won medals in walking, singing, and playing the piano. Mary was a long-time parishioner at San Jose Catholic Church. She was loved by many and was a religious woman of great character, dignity and integrity.